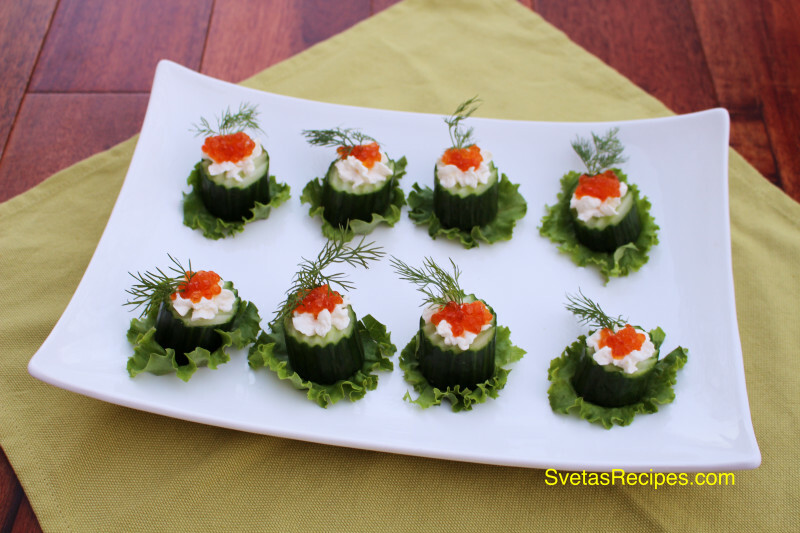 The Dill Flowers have been around for quite a while now, its an original Ukrainian appetizer. 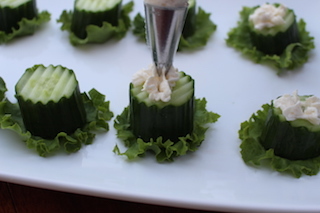 Its quick and easy to make, healthy, and looks good on the table! 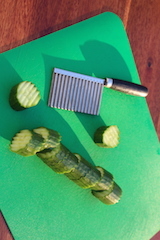 Ingredients (Also Down Below) Wash and Dry cucumbers, leaves and dill. 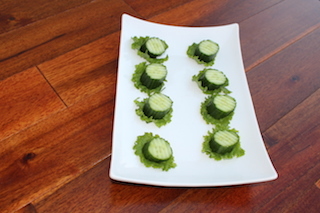 Cut Cucumbers on an angle or in fancy shapes until you have 8 equal pieces. 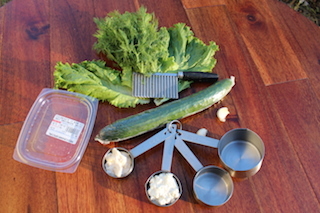 Lay the cucumbers on the green leaves that are on the plate. 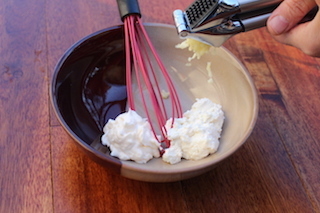 Mix the cheese, crushed garlic and mayonnaise well. Spoon remaining cream mixture into pastry bag fitted with a medium size star tube. Pipe small dots of cream mixture into the center of each cucumber. 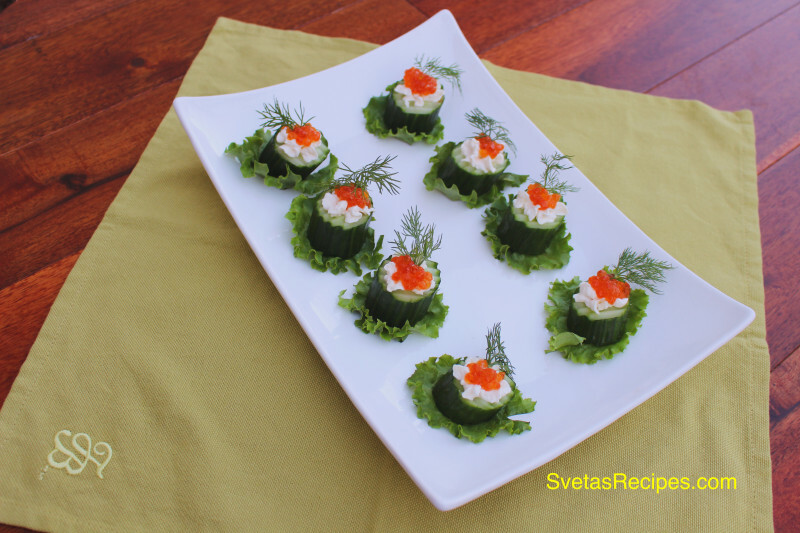 Put pieces of salmon caviar on cream. For decoration purpose put a little of Dill on each one. The Dill Flowers have been around for quite a while now, Its and original Ukrainian appetizer. Wash and Dry cucumbers, leaves and dill. 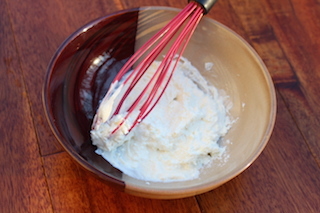 Mix the cheese, crushed garlic and mayonnaise well. Spoon remaining cream mixture into pastry bag fitted with a medium size star tube. Pipe small dots of cream mixture into the center of each cucumber.